A sauna is a warm welcome. Steamy, steady and sanctuary; it is a physical room altering the state of body and mind. It can be experienced in solitude or a social setting, with family, friends or with strangers. The Swedish notion of allemansrätten describes a public access right which permits most of the land to be freely roamed and utilized by residents and visitors. This access right is limited to the outdoors, and any built structure is predominantly private property. Scattered through the vast woodland of the Swedish landscape are endless amounts of cabins, bathhouses, saunas, sheds, and huts - destinations for some, but off-access for most. At Sunds Grustag, a stone quarry on Värmdö, I crafted a public sauna as a suggested destination to share for anyone interested. I wanted to question the idea of ownership and challenge the experience of spaces we share and meet in: who makes them, for whom, using what techniques and what materials. A suggested destination to examine the notion of feeling at home, what it can mean and where it can be experienced. Making a functional structure in this scale easily becomes read in an architectural context, but I emphasize that the sauna I built is very much part of a craft tradition. How I shape materiality and people’s experiences through a handle or a coffee cup, is transferred into another scale when the process of making remains very much the same through its intimacy and hands-on physicality. I built my sauna by coiling it like a giant planter pot using mostly material readily available in and around the quarry; clay, sand, stone, gravel, hay, manure and timber. I learned about Sunds Grustag through a friend who suggested I might enjoy the location in the late summer of 2016. 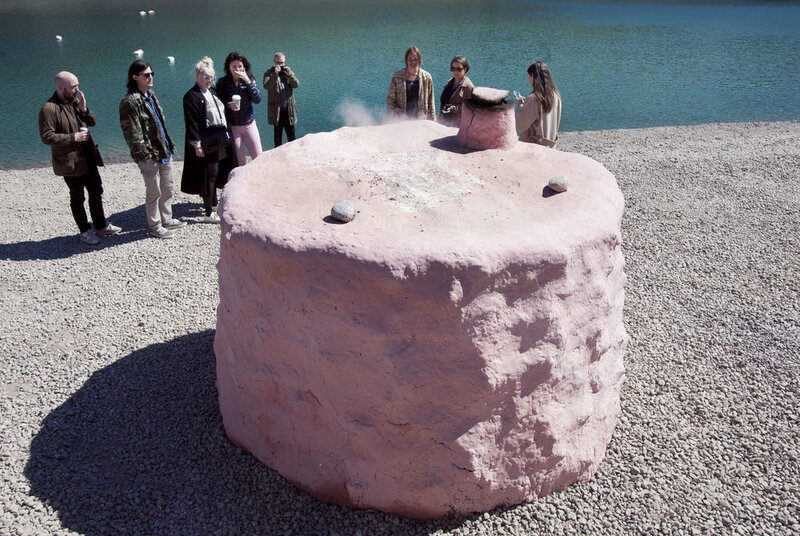 During a collaborative project together with fellow craft artist and ceramicist Emma Friberg, I initiated a workshop where we would visit the quarry and examine fire as the common denominator between clay and food. Arriving at the quarry that first time, we were both instantly affected by the apparent magic of the space, and with a pressing need to figure out exactly what we could offer the space and what the space could offer us. Since that inaugural day, Emma and I worked side-by-side with our individual site specific projects (my sauna and her sculptures), but also together through a constant dialogue and shared making at the quarry. Emphasizing craft as a process, a collaborative practice not always focused on a final object or physical result, was a method proven invaluable to challenge how we still take on this space and the possibilities within the work we make - separately and together. During the 'opening' in May 2017, we asked chef Elias Ericson of Wood Stockholm to come join us and cook food over open fire. We sent out an open invite and asked anyone interested to join us at the quarry, meeting over sauna baths, swimming with rock sculptures, fire and food. It was magical. 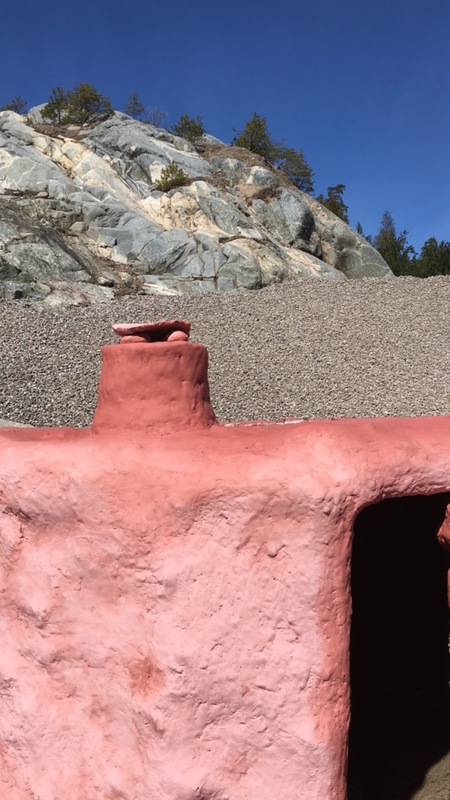 The sauna and rock sculptures were available to visit until the fall of 2017. The quest to activate this space continues, and so far two projects are planned for this upcoming spring/summer.